(Leo Kelion BBC News) A UN agency is trying to calm fears that the internet could be damaged by a conference it is hosting. Google has warned the event threatened the "open internet", while the EU said the current system worked, adding: "If it ain't broke, don't fix it." "The brutal truth is that the internet remains largely [the] rich world's privilege, " said Dr Hamadoun Toure, secretary-general of the UN's International Telecommunications Union, ahead of the meeting. "ITU wants to change that." The ITU traces its roots back to 1865, pre-dating the United Nations. Back then the focus was on telegrams, but over ensuing decades governments have extended its remit to other communications technologies. It helped develop the standards that made sure different countries' telephone networks could talk to each other, and continues to allocate global radio spectrum and communication satellite orbits. The current event - the World Conference on International Telecommunications (Wcit) - marks the first time it has overseen a major overhaul of telecommunication regulations since 1988. Regulators and other delegates have until 14 December to agree which proposals to adopt. More than 900 changes to the International Telecommunication Regulations have been put forward. The ITU highlights proposals to block spam messages, cut mobile roaming fees and prioritise emergency calls as some of the event's key topics. There have been accusations of "secrecy" because the ITU had left it to individual countries to publish proposals rather than release them itself. Two sites - Wcitleaks and .nxt - have gathered together related documents from a variety of sources but many are still unpublished. The resulting treaty will become part of international law, however the ITU itself recognises that there is no legal mechanism to force countries to comply. The ITU says there is a need to reflect the "dramatically different" technologies that have become commonplace over the past 24 years. 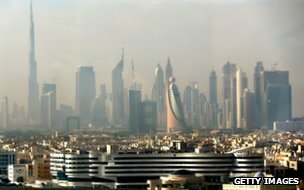 But the US has said some of the proposals being put forward by other countries are "alarming". "There have been proposals that have suggested that the ITU should enter the internet governance business," said Terry Kramer, the US's ambassador to Wcit, last week. "There have been active recommendations that there be an invasive approach of governments in managing the internet, in managing the content that goes via the internet, what people are looking at, what they're saying. "These fundamentally violate everything that we believe in in terms of democracy and opportunities for individuals, and we're going to vigorously oppose any proposals of that nature." He added that he was specifically concerned by a proposal by Russia which said member states should have "equal rights to manage the internet" - a move he suggested would open the door to more censorship. However - as a recent editorial in the Moscow Times pointed out - Russia has already been able to introduce a "black list" of banned sites without needing an international treaty. The ITU's leader is also playing down suggestions that Russian demands will see him gain powers currently wielded by US-based bodies such as the internet name regulator Icann. "There is no need for the ITU to take over the internet governance," said Dr Toure following Mr Kramer's comments. One of the other concerns raised is that the conference could result in popular websites having to pay a fee to send data along telecom operators' networks. The European Telecommunications Network Operators' Association (Etno) - which represents companies such as Orange, Telefonica and Deutsche Telekom - has been lobbying governments to introduce what it calls a "quality based" model. This would see firms face charges if they wanted to ensure streamed video and other quality-critical content download without the risk of problems such as jerky images. Charged with producing technical documents to influence the way people design, use and manage the net. Defines policies for how the domain name and IP (internet protocol) address number systems should run to ensure the net's system of unique identifiers remains stable and secure. Assigns net address endings (generic top-level domain names), and coordinates the allocation of IP numbers. It currently functions as a department of Icann. Lobbies governments to ensure the internet's technical standards are open and non-proprietary, so that anyone who uses an application on it in a certain way has the same experience. It also promotes freedom of expression. Oversees the process used to create internet standards and considers complaints about the way they are executed. An UN-created forum in which governments, businesses, universities and other organisations with a stake in the internet can share dialogue. Etno says a new business model is needed to provide service providers with the "incentive to invest in network infrastructure". A leaked proposal by Cameroon which talks of network operators deserving "full payment" has been interpreted by some as evidence that it is sympathetic to the idea. Mr Kramer has suggested that "a variety of nations in the Arab states" also supported the idea. However, the US and EU are against it which should theoretically stop the proposal in its tracks. The ITU has repeatedly said that there must be common ground, rather than just a majority view, before changes are introduced to the treaty. 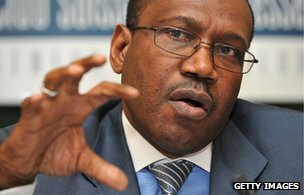 "Voting in our jargon means winners and losers, and we cannot afford that," Dr Toure told the BBC. Such assurances have failed to satisfy everyone. The EU's digital agenda commissioner, Neelie Kroes, has called into question why the treaty needs to refer to the net. "The internet works, it doesn't need to be regulated by ITR treaty," she tweeted. 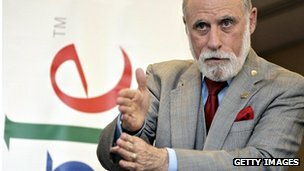 Vint Cerf - the computer scientist who co-designed some of the internet's core underlying protocols and who now acts as Google's chief internet evangelist - has been even more vocal, penning a series of op-ed columns. "A state-controlled system of regulation is not only unnecessary, it would almost invariably raise costs and prices and interfere with the rapid and organic growth of the internet we have seen since its commercial emergence in the 1990s," he wrote for CNN. "Father of the internet" Vint Cerf claims the "free and open net is under threat"
Google itself has also run an "open internet" petition alongside the claim: "Only governments have a voice at the ITU... engineers, companies, and people that build and use the web have no vote." However, the ITU has pointed out that Google has a chance to put its views forward as part of the US's delegation to the conference. "They are here, and they're telling everyone that it's a closed society," said Dr Toure when asked about the firm's campaign. "We will challenge them here again to bring their points on the table. The point that they are bringing - which is internet governance - it's not really a place for discussion [of that] here. "Therefore we believe they will find themselves in an environment completely different from what they were expecting."